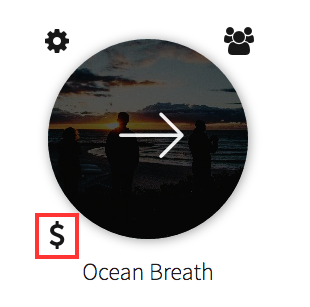 To view billing details on a project, hover your mouse over the project thumbnail and click the “$” billing icon that appears in the bottom left. 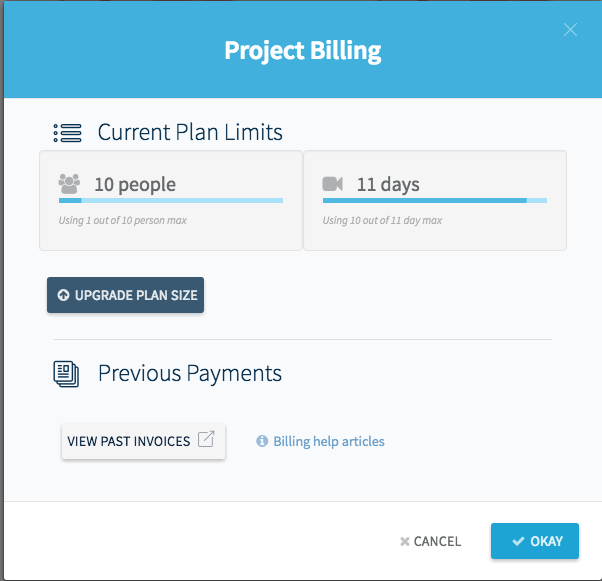 This will open the project billing settings where you can upgrade your plan size and view invoices for past payments. Simply click on the "+" icons to add more people or days to your plan. The total price will update as you add more people or days. If this is your first purchase for the project, you'll also need to Add Card & Invoice Details, so make sure to do that. When you're all ready to make the upgrade, click on the blue button at the bottom. 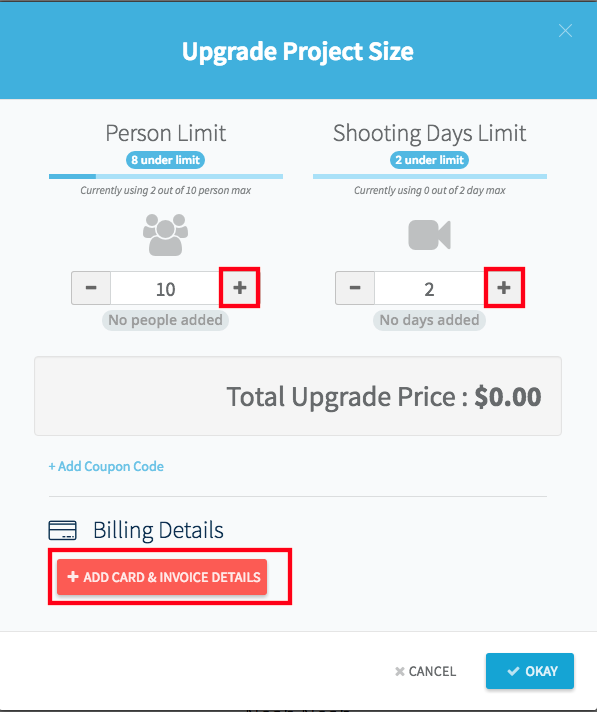 Your card will be charged immediately and you should see the limits on your project instantly update. If they don't update right away, you may need to refresh your page to see the changes. If you have any issues with billing or are confused about how to upgrade, contact our support team, and we will help you out right away!